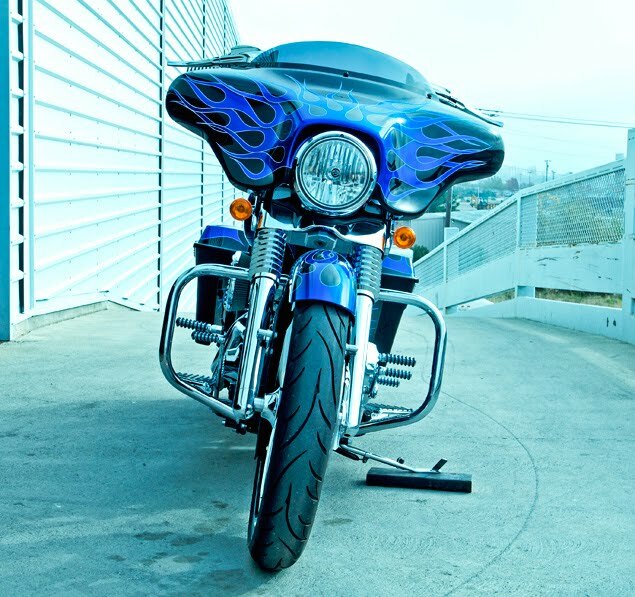 Battistinis, Arlen Ness Retro Bagger . . . . .
Arlen Ness has developed a ton of new bolt-on products for Harley-Davidson® motorcycles, concentrating on increasing the depth of the Arlen Ness ‘Retro’ product line. 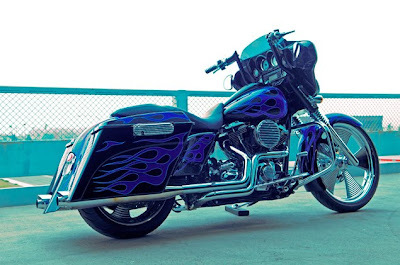 This is primarily geared for “Bagger” models which have become the weapon of choice for a lot of HD® owners. Developing floorboards, saddlebag latch covers, fork boot covers, grips, foot-pegs, wheels, plus much more Arlen Ness has given owners the options to customize almost every piece of their motorcycle. With all these pieces being developed with the same theme in mind, a customer is able to buy a piece at a time and end up with a bike that looks like it was done all at once.